Many businesses rely on several different forms for every customer – and pre-printed forms from other companies – just to complete a single transaction! 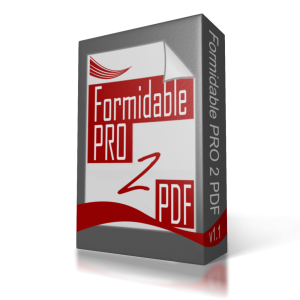 Formidable PRO2PDF is was created to simplify single data entry – of unlimited pre-printed forms per customer – for a small professional business. Filling-out forms takes a lot of time! And… since time is money, Formidable PRO2PDF saves a lot of both. WordPress is a versatile content management system (CMS) that you can use to create a simple blog, or a fully functional business websites and mobile applications. From your a form in WordPress – to a filled-in PDF on your web user’s device – with one simple shortcode.